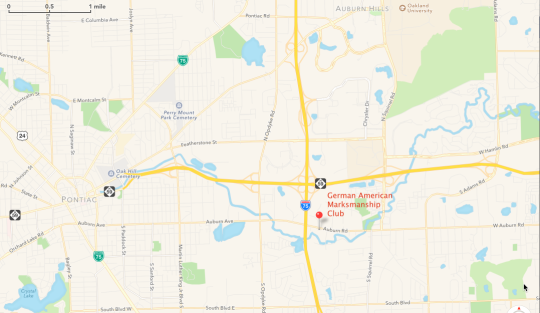 One of the events we never miss is Oktoberfest at the German American Marksmanship Club, located at 2650 Auburn Road in Auburn Hills, MI. 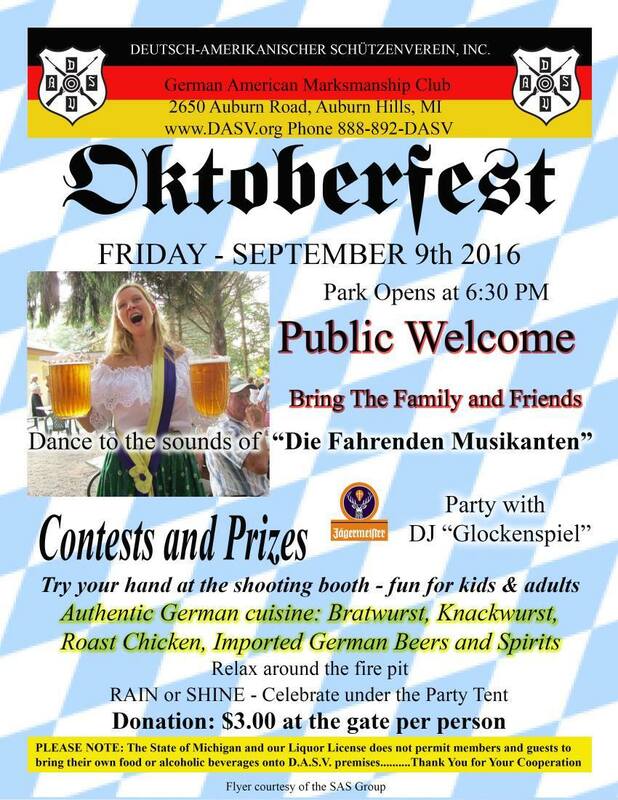 The Oktoberfest festival is tomorrow (Friday, September 9, 2016), beginning at 6:30 PM and admission is only $3.00 per person. There will be authentic, and I mean authentic, German food for sale, German beers, and Jaegermeister drinks, along with a DJ and a band. Bring some cash, because food and drink are purchased using the ticket system, much like other festivals. There is a covered dance area and tents are always present in the event of rain. This is a guaranteed good time for the family, particularly the grown-ups who can appreciate the traditional German cuisine, costumes, and amenities. Join us there why don’t you? The event flyer is below, followed by a map of the location.